However&h.e.l.lip; wasn't it easier said than done? The third Ancient Fey was too powerful. "I wonder how it will be when Yi Yun faces the third Ancient Fey." Yi Yun had slain the second Ancient Fey before Jian Zhu. His battle with the third Ancient Fey was about to begin. All the Luo clan disciples were looking forward to Yi Yun's performance. If Yi Yun could slay the third Ancient Fey at a pa.s.sable speed, the gap would not be too great. After he was ejected, he had appeared behind a few Luo clan disciples. Having just experienced a fierce battle, the extremely excited Ran Xueyi did not notice what these Luo clan disciples were doing. He said, "What a pity. I nearly killed the second Ancient Fey!" Ran Xueyi's face seemed to burn. The words he had just said had an exaggerated embellishment to them. He had failed to even severely injure the second Ancient Fey, let along 'nearly killing' it. The enlarged scene placed in the middle was not Jian Zhu or Princess White Fox's, but&h.e.l.lip; Yi Yun’s!? And at this moment, a Luo clan disciple that heard Ran Xueyi's words leered at him and casually said, "That's pretty good." It was fine if the disciple did not say that, but when he said that, the already embarra.s.sed Ran Xueyi's face flushed a deeper red. All that was left in his heart was anger. "Yi Yun's battle has begun." A Luo clan disciple said, interrupting the about-to-speak Ran Xueyi. "He is now beginning his second battle, right? What's there to see?" Ran Xueyi said with a livid expression. "Second? That is now his third battle!" The Luo clan disciple said. Ran Xueyi's body trembled. He had already faced the second Ancient Fey, but the aura that was exuded by the strange fish was no doubt far greater than the second Ancient Fey’s. The terrifying power made the watching disciples hold their breaths. Once the seawater halves. .h.i.t each other, wouldn't the person in the middle be instantly reduced to a meat pulp? "Nomological fragments?" Seeing Yi Yun's move, Fairy Red Fox was taken aback. Did Yi Yun gain nomological insights from the unknown Fey G.o.d Stones? "Disintegrate!" With golden light scintillating, the sword's blade flashed across them! Although they didn’t have the true power of the Thousand Snow flying sabers, with nomological augmentation, the flying sabers made by the Luo clan could still produce an explosive attack. With the dazzling brilliance exploding, it was like there was a temporary moment of silence in the world. Immediately following that, there was a gigantic boom as the Ranyi Fish's gigantic snake mouth burst open. Blood splattered alongside the seawater, splattering across everywhere! The water columns that lost the Ranyi Fish's control collapsed beside Yi Yun. In the dark billowing waves, Yi Yun stood high in the air. Standing above the Ranyi Fish's corpse, he held a sword in hand which was still dripping with blood. "Snap!" Bai Yueqing's fan fiercely closed! 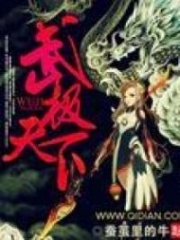 You're Read True Martial World Chapter 905 - Nomological Sword online at NovelOnlineFull.com. You can use the follow function to bookmark your favorite novel ( Only for registered users ). If you find any errors ( can't read,broken links, can't load photos, etc.. ), Please let us know so we can fix it as soon as possible. And when you start a conversation or debate about a certain topic with other people, please do not offend them just because you don't like their opinions. You're reading True Martial World. This manga has been translated by Updating. Author(s): Cocooned Cow,蚕茧里的牛. Already has 7442 views. Current Time is 21-Apr-2019 02:24:23 AM.